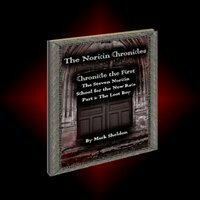 The Lost Boy is the first of 12 installments in The Noricin Chronicles series by author Mark Sheldon. It is a tale of riddles, lineage and super humans, and will have you turning every page rapidly. Meet 12 year old Daniel Regal, lonely, different than everyone else around him, and an orphan living in a Boston orphanage. Right off the bat we get into it, and we learn that although Dan may feel lost and alone, he is a child that is in possession of a rare gift. He is part of a super human race called Norcinites, or the New Race, and is descended from a rare bloodline known as Margatheans. After a tragic incident involving a bully on Dan’s twelfth birthday, Nevar Loeren arrives at the orphanage and extends an invitation to Dan to attend a special school for Norcinites named Snisnar. The school was founded by the first Norcinite Steven Noricin, the first Norcinite ever to come into existence. The purpose of the school is to help young Norcinites learn to master their abilities. It also helps the Norcinites to live a life under the radar of the Commens, also known as mere mortals, who would surely persecute them if they found out about the existence of a race of super humans. Despite doubting his sanity and having trepidations about starting a new life, Dan accepts the offer of the school’s principle, the enigmatic and powerful Nevar Loeren. That September, Dan’s new life as a student of Steve Noricin’s School for the New Race commences, and so too does the mystery of who Dan is and why is someone trying to kill him. Amongst claims of Superman being a Noricin, a special boarding school for gifted children, and a child of an elite bloodline with rare abilities even amongst his own people, I couldn’t help but feel excited to read this first novel in the series. The Lost Boy was like a hybrid of Harry Potter meets X-Men, and Nevar Loeren reminded me of Dumbledore and Xavier all rolled into one mysterious character. The main character Dan was a boy I liked right away, and his adventure was fast paced and interesting, and I was a willing participant on his journey of self discovery. The Lost Boy explores themes of tolerance and fear, the struggle for enlightenment, the vagaries of acceptance and discrimination due to social status, the desire to find one’s place in the world, and accepting your true nature and therein finding your worth. Dan Regal must determine for himself if he has what it takes to embrace and conquer his fear, and he is a character that the reader will definitely root for. 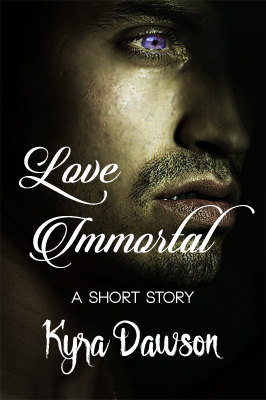 The story gives the reader an intimate view of what it would be like before a super hero became a super hero. It seems there is a learning curve, and watching Dan come into his own, discover his talents and capabilities and hone his craft so to speak, as well as find a place where he finally belonged was an enjoyable endeavour. Mark Sheldon does a great job of combining humor with wisdom and wit, and has created a new world for readers to enjoy. The Lost Boy is filled with ominous foreboding, puzzling riddles and challenges, secret passageways and dark corridors, nightmares and monsters, and an eclectic group of enigmatic and eccentric professors. There are struggles and rivalries amongst foes, and the close bonds of friendship, and a bevy of exciting, psychic and paranormal super powers. Not only is there an assassination plot or two, but in addition to eluding and helping to ferret out a would be murderer, Dan must unlock the secret of his past and discover the origins of his family. I for one have a keen interest to discover just who is the lost boy Dan Regal and what is his destiny? I will be eagerly awaiting the second installment in The Noricin Chronicles, definitely an intriguing new series by Mark Sheldon. The Lost Boy is available January 11, 2011. Visit http://noricin.webs.com for more information, and join Mark Sheldon on Facebook. Enjoy the book trailer for The Lost Boy below! By day I'm at Brighter Scribe or blogging at The Scribe's Desk about fantasy, sci-fi, horror, mythology, movies, TV, music, books, humor and some other entertaining ish. I'm also a published author who enjoys random acts of writing, video gaming, the art of fangirlling, and indulging my Inner Perpetual Teenager diligently. I'm also a regular contributor at Cinelinx and am passionate about giving back to the community. Am Reading, authors, Books, Fantasy, Good Book Alert!, Paranormal Entries, reading, super heroes. Bookmark.